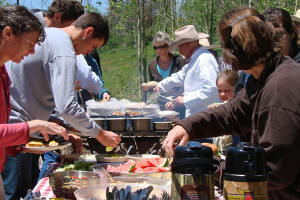 Spend five nights in a convenient and luxurious hotel room right near downtown Jackson, Wyoming. 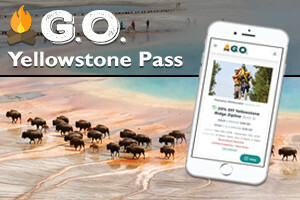 You'll enjoy three full days of various snowmobiling adventures, including snowmobiling through powder fields on Togwotee Pass, a tour along a groomed road to Granite Hot Springs (with a soak in the springs), and a scenic guided tour through Yellowstone National Park. Also take one additional day to explore Jackson on your own. 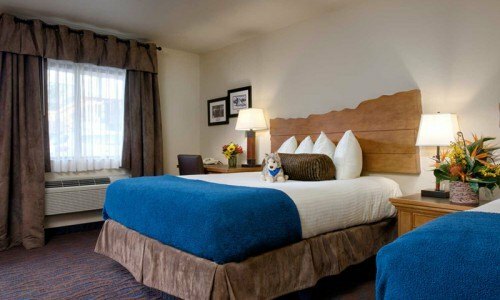 This spacious room offers a traditional layout and a choice of either two queen beds or one king bed. 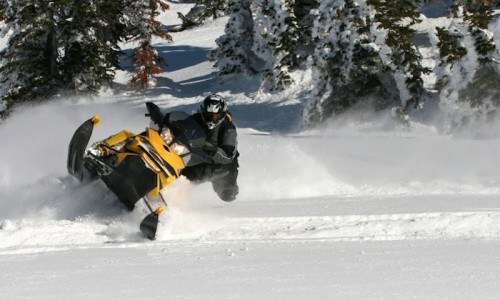 Start at Black Rock, 30 miles North of Jackson, and ride the high plateaus and the canyons of this winter sport mecca. 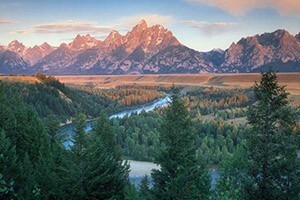 Enjoy great views of the Tetons. No wildlife. 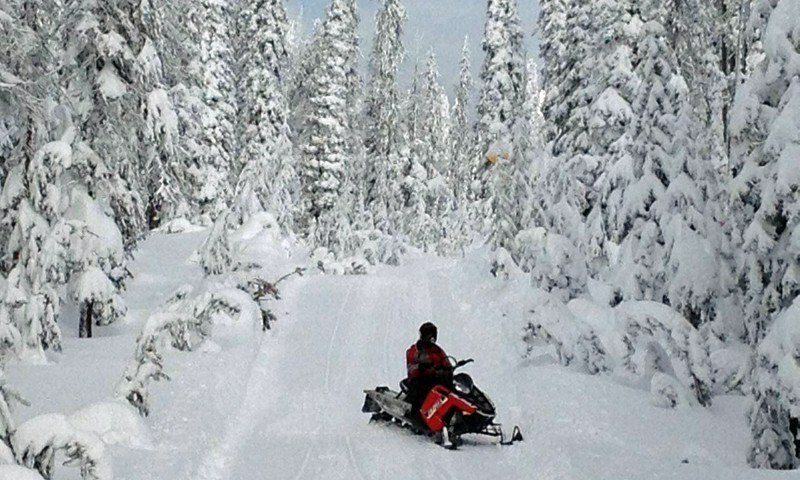 This tour is great for off trail riding in deep powder. Guests are encouraged to ride single on this trip. Tour lasts 8-9 hours. Includes boots, helmet, suit, mittens, balaclava, handwarmers, snacks, restaurant lunch, pick up and drop off. Full day lasts about 8 hours, 1/2 day lasts about 5 to 6 hours. 1/2 day can go in morning or afternoon. This trip starts 20 miles south of Jackson. Ride backcountry trails to the natural hot springs for a relaxing swim or soak, with the opportunity for some off trail riding. Tour lasts 5 to 6 hours. This trip can also be booked as an afternoon trip. Please call for times and availability. 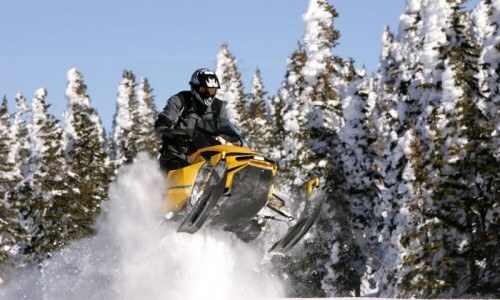 Includes boots, helmet, suit, mittens, balaclava, hand warmers, continental breakfast and snacks. Choose from Old Faithful or the Grand Canyon of Yellowstone. 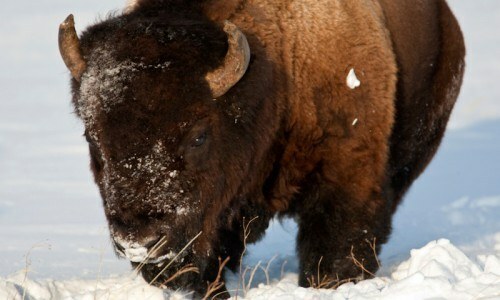 Explore the Yellowstone wilderness viewing wildlife and thermal features. Tour lasts 11-12 hours. Tour includes Boots, helmet, suit, mittens, balaclava, hand warmers, breakfast, lunch, snacks and pick up and drop off. Price does not include park entrance fee. * Price is per person, based on double occupancy, January travel.